Have you ever entered an ambient cocktail bar, taken your coat off, smiled coyly at your date, then been handed over the menu only to realize you have no idea what you’re reading? You’re not alone. With the craft cocktail boom in full force, drinks have started to use increasingly esoteric ingredients and mixing terminology. Don’t worry, we’re on your side, and we’re going to help you decode those cocktails. Before we get into actually reading what’s in front of you, I want do dole out a bit of preemptive advice: do not head over to the bar to explore the menu on Saturday night at 11:30 pm. At least, not yet. The first dozen times I went to cocktail bars I went on quieter nights so I could ask the bartender plenty of questions. While this isn’t mandatory, it might make your life a bit easier (I apologize to all the bartenders who’ve had to deal with me). Square One: What’s The Featured Spirit? Most cocktails are spirit based, although there are great beer and wine cocktails. If you have a favorite spirit, try to find cocktails that build around it. If your cocktail is gin based, it will probably be aromatic and at least a little herbaceous. A whiskey based cocktail might have a more caramel-packed, smokey taste. This is a good jumping off point for deciding what to order, but your journey doesn’t stop here. Second Factor: Which Secondary Alcoholic Ingredients Are Present? It’s really hard to determine if you’ll like a cocktail when you’ve never tried most of the ingredients in it. Chartreuse, Amaro Montenegro, Campari, and Cynar are but a few examples of lesser-known cocktail components. If you’re unfamiliar, most bartenders will be happy to pour you a bit of the ingredient in question, or at least tell you what it tastes like. If the place is jammed and you feel shy, google is your friend! Whip out your phone and get to work. Third Thing To Consider: Which Non-Alcoholic Ingredients Are In The Mix? This is your strong suit. Often times these are flavors you’ll know off the top of your head. Lemon, lime, pineapple, strawberry, mint, chocolate. Yay! But there may still be a few tastes you’re not familiar with (it took me awhile to understand what hibiscus tastes like). But here’s the thing, a lot of these ingredients resemble things you have tried, so finding a point of reference shouldn’t be hard. For instance, if you look up or ask someone what hibiscus tastes like, you might find answers like “pomegranate” or “berries.” Another thing that will set your mind at ease is that often the non-alcoholic flavorings won’t have as much of an impact on the drink as the boozy ones, so there’s a little more leeway here in terms of which drinks you will and won’t like. Look, there is absolutely nothing wrong with wiki’ing what’s in front of you, even at the bar. I’ve done this more times than I can count, and it can really be a tremendous learning experience. 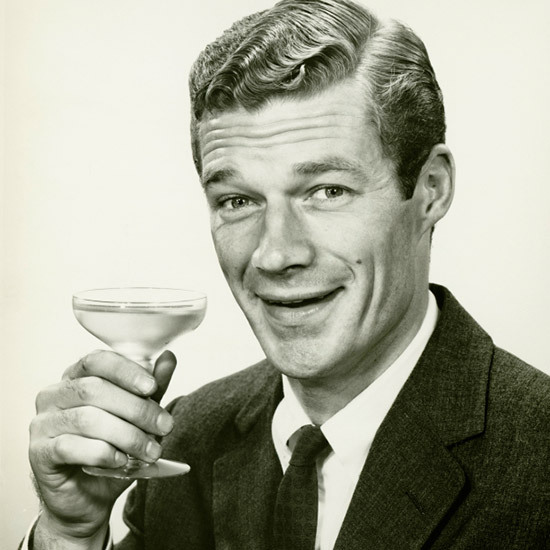 Just remember not to spend too much time on your phone – you have boozing and schmoozing to do.